SCB Legal’s Wills and Probate lawyers assist clients with all matters relating to Estate Planning. This includes simple wills through to succession planning, which involves family trusts and other more complex matters. Our aim is to ensure effective estate planning, so that your estate passes to those you wish to benefit from it. This diligent planning helps minimise estate disputes from occurring. Having a legal Will ensures that your family will be properly cared for when you pass. Would You Like To Know Your Loved Ones’ Futures Protected? Ask about our FREE Consultation! Careful estate planning is especially important when re-partnering with children from previous relationships, to ensure you protect both your children and your new life partner. There are many aspects to drafting a will, so it’s natural to expect that a number of questions will arise. For example, you may have been appointed as the executor of your loved one’s Will and need assistance with administering that Estate. Or possibly your loved one has passed away without leaving a Will. We want to make sure that all of your wishes are expressed and legally binding. In keeping with our commitment to simplifying and demystifying the law, the team at SCB Legal thoughtfully created a list of your most frequently asked questions. A Will is an important legal document which is used to determine how your property will be dispersed when you die. Having a valid Will is the best way to ensure your estate (all your assets, property and possessions) are protected. This is the only way to ensure your estate will be received by the people you wish. All people aged 18+ should have a Will. Did your daughter just give birth, meaning you have a precious new grandchild? Have your circumstances recently changed that require your Will to be revised? If You Answered YES To Any Of The Aforementioned Questions, Then Your Will Needs To Be Updated. Call SCB Legal to schedule an appointment, so that your Will reflects your wishes! Making a Will gives you control over how your estate will be divided after your death. In your Will, you appoint a person who you trust, known as the executor, who will divide your estate in accordance with your wishes. Your Will can only be changed by you and only when you wish to change it. You may also use your Will to leave directions about the payment of your debts and funeral expenses and to stipulate any burial or cremation arrangements that you would prefer. Many people think that they are not wealthy enough to make a Will, however making a Will is a prudent step, as it is forward thinking and only comes into effect at the time of your death. It is reasonable to expect you will have more assets in the future, than what you currently have, which is why it’s important to update your Will. It’s easy to overlook valuable aspects such as your shares or term deposits. It is therefore wise and recommended to consider making a Will now, when considering your family’s future interests and those about whom you care. Leaving a Will behind makes life much easier for your loved ones, as your exact wishes are then communicated clearly and precisely. Do You Want To Ensure Your Wishes Are Maintained? Call NOW to arrange a consultation with one of our Wills and Probate lawyers! Dying without a Will is likely to cause significant and unnecessary financial and emotional hardship on your loved ones during their time of bereavement. If you die without a valid Will, it is known as dying ‘intestate’. Your assets will be dispersed based upon strict legal rules known as intestacy and are not usually in accordance with your wishes. In this scenario, you will have no say as to how your property is divided. In most cases, all your property will be transferred to your eligible relatives, usually your former partner or children, in accordance with predetermined percentages. The rules applied by the Court will not allow the leaving of gifts to friends or charitable organisations. Your relatives will generally receive all your property however, the procedures for administering your estate are time consuming, complex and costly. It’s easy to understand how this will more than likely cause your family members stress. If after reasonable inquires it is shown you died without a Will, your eligible relatives will need to apply to the Supreme Court for a grant of Letters of Administration, so that a suitable administrator can be appointed. It is important to remember that locating relatives based upon evidence of your genealogy can be an expensive and time-consuming task. In order for your de facto partner to be eligible to receive a portion of your estate, sworn evidence is required in the form of an affidavit. If you have children and no spouse, your children’s share of your estate will depend upon the proximity of their family relationship. If a person passes away leaving no Will and without there being direct family in Australia, the government is entitled to take the entire estate of the deceased. Any person over the age of 18 with ‘testamentary capacity’ can make a Will. This legal term is defined as having sound mind, memory and understanding. The laws of intestacy are complicated and whilst writing your own Will may save you time initially, it is risky and is likely to end up costing more money and time in the long run. When creating your Will, there are many considerations such as drafting it in a manner to minimise tax liabilities such as Capital Gains Tax and Superannuation Death Benefits Tax. Would You Like Help Drafting Your Will? To avoid your estate from ending up with the state, ask SCB Legal to ensure your wishes are met! Wills ensure your wishes and intentions are expressed clearly in the eyes of the law. A solicitor is an expert at drafting Wills and uses precise and unambiguous wording. This attention to detail alleviates incorrect legal interpretations, which makes the Will difficult to be contested by others. Our expert legal team will advise how to give a legal effect to your intentions that best ensures your wishes are properly recorded and fulfilled. What Is Meant By A “Valid Will”? As long as your Will is in writing, and your signature was witnessed by the two witnesses together, your Will is considered formal and valid. If the Court considers the Will to be invalid, the estate will be dispersed as if no Will existed. Your Will may be deemed as partly valid and partly invalid. Therefore, it is advisable that you include what’s known as a ‘residuary clause’ to cover any assets that are not specifically provided for in your Will, known as your ‘residuary estate’. This ensures those assets will be distributed according to your wishes and not result in being administered according to the rules of intestacy. If the question of formality arises, (on some occasions) a Court may need to grant probate before your property can be divided. What Is The Granting Of Probate? When a person dies, an executor or executors are usually appointed to manage the deceased person’s estate. A grant of probate is a legally binding document that authorises the executor/s to maintain the estate, in accordance with the stipulations that appear in the deceased’s Will. Once A Will Is Created, How Do I Ensure That It Is Fulfilled? When drafting your Will, you appoint an ‘executor’, who is the person nominated to administer your estate upon your death. This person should be someone you trust as they will become solely responsible for ensuring the terms of your Will are fulfilled when you die. You may appoint more than one executor. Alternate executors will assume the role in case something happens to your first executor. You may also create a testamentary trust. This means that your estate will not go to your beneficiaries directly, ie your children but instead shall be held in trust for them by a trustee. Any debts you owe will need to be paid using your assets before your estate can be divided amongst the beneficiaries. People frequently appoint their solicitor as executor because they trust their knowledge and expertise in administering Wills. Yes! Your Will may be altered by you at any time. Since your Will expresses your wishes only at a certain point in time, it is highly recommended to revise your Will every few years. In this way, you ensure that it still reflects your former intentions. If you have a major life change, such as a marriage or divorce, or one of your loved ones dies, or you have children or grandchildren, it is in your best interests to revise your Will accordingly. In order to alter your Will, you must execute a formal authorised amendment which is known as a ‘Codicil’. A codicil is a separate document that must be signed and witnessed by two other people just like your original Will. 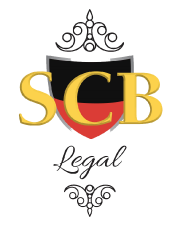 Would You Like To Appoint SCB Legal As The Executor Of Your Estate? Contact us today to arrange a FREE consultation with one of our qualified Probate lawyers! Relatives and in some circumstances friends who believe they have not been sufficiently provided for in your Will, may be entitled to contest it. They must prove to the Court that you failed to make adequate provisions for things such as their maintenance, education and the like. Have You Been Left Out Of A Will And Wish To Contest It? Contact us today and let one of our expert lawyers assist you! A new marriage will generally automatically overrule and revoke the wishes you have previously provided for in a Will. This will be the case unless the new marriage was expressly provided for in your Will. It is in your interests to make a new Will whenever you marry, remarry or divorce. How will divorce affect my Will? If you get divorced, it won’t revoke your entire Will. However, any clause provided for in your Will regarding your property going to your former spouse will be automatically revoked when the divorce order takes effect. If your former spouse is appointed as the executor, your divorce will also cancel their appointment. It is important to note that if you are separated and not legally divorced, these rules will not apply. They may also not apply if the Court is satisfied that you did not intend for your divorce to remove your former spouse as beneficiary. If you are considering separating from your spouse or getting divorced, it is recommended that you revise your Will. Are You A Single Parent Without A Partner? If you have children, and the other parent is deceased and you are not in a relationship, you may appoint a guardian in your Will. If guardianship of your children is contested, the Court will consider your wishes in your Will. It is very important that you keep your original Will in a safe and secure place at all times. It is recommended that you select a place that your appointed executor will have access to in case you die. A copy of the Will should be created and marked highlighting where your original Will is located. It is common practice for your solicitor to keep your original Will on your behalf and to provide you with a copy for you to keep at home. It is also an important part of estate planning to ensure you have an Enduring Power of Attorney and Enduring Guardianship.